We supply various types of PET shrink sleeves such as Busbar Sleeves, Battery Grade Sleeves, 3 Side Straight Seal Bags, 'U' Sealed Bags, 2 Side Open Sleeves and Performed Sleeves. This type of various sleeves are used to pack individual object or as a group products. They are printed by us in ten attractive colors. 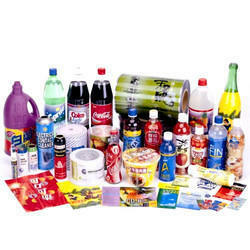 OPS Shrink Sleeves made available by us are made of substrate that is more cost effective than PET as well as also at the same time provides lowest vertical shrink percentage, thus adding to the consistent finish provided in the packaging. We are selling imported shrink sleeve . Shrink Sleeves Labels are perfect for packaging and create extra decorative area by surrounding the entire surface of the package. These labels are ideal solutions for adding visually appealing 3600 graphics to exceptionally shaped containers. 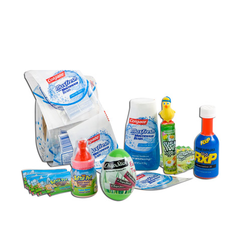 The assortment offers an obstacle to surplus entry and maintains product integrity. We are Offering PET Shrink Sleeve to our client.